Jean-François (in Dutch also known as "Jan Frans") Eliaerts was born in Deurne, Belgium, on January 1st, 1761. 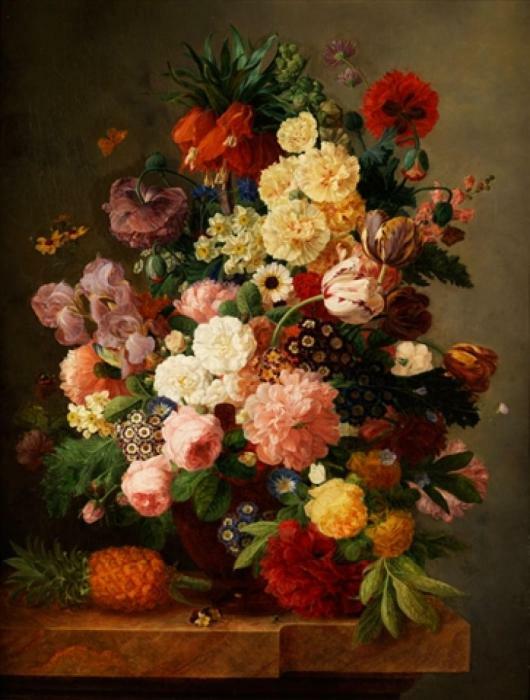 He was a successful painter, known for his lush baroque flower still lifes. He received his artistic training at the Royal Academy of Fine Arts in Antwerp and left for Paris at the end of the eighteenth century. Eliaerts was among the exceptionally fine Dutch painters working i . . .